Where there’s a wine, there’s a way to enjoy a pleasant evening glazing at a gorgeous New York sunset. Yesterday New York Wine Events presented its inaugural Big Apple Zinfandel Experience, which featured an array of California’s leading Zinfandel producers pouring over 75 different wines. 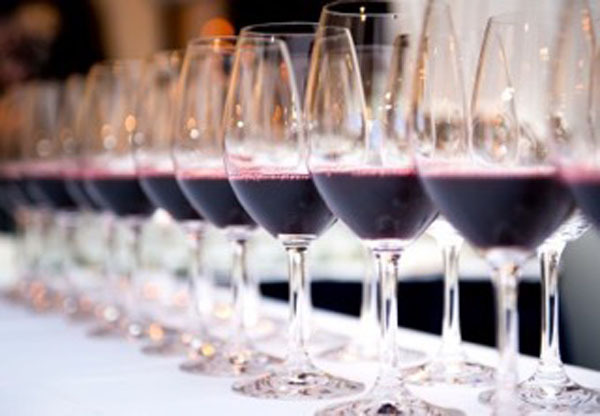 The event displayed legendary wineries that helped make Zinfandel into California’s cult grape. Wine admirers engaged in fruitful conversations with winemakers from Napa Valley, Sonoma County, Central Coast, Lodi, Central Valley, Mendocino and Lake, Sierra Foothills and Southern California. Through this intimate experience, enthusiasts were able to explore the luscious flavors of Zinfandel blends, single vineyards and old Zinfandels, with the addition of discovering the distinctive dialects of the Zinfandel growing regions. Randle Johnsons of Artezin is a canny man, who sports these big bold glasses, which reflect in this bold Zinfandel varietal from Mendocino County in California. A well-rounded wine, like Mr Johnson himself has the decency to embrace your tastebuds, balancing the fruit forward with sweetness, offering a delicate taste. The empowering ruby red color highlights the accents of plump cherry, rich pomegranate and deep dark boysenberry, which is chased by subtle notes of pepper. Participating wineries include Artezin, Beran, Bella Grace Vineyards, Francis Coppola, Frank Family Vineyards, Fritz, Gamba Vineyards & Winery, Ironstone, Opolo Vineyards, Peachy Canyon, McNab Ridge Winery, Predator, Renwood Rombauer Vineyards, Seghesio, Family Vineyards, Storrs, and Terra d’Oro. Artisanal cheeses courtesy of the world-class Beeches handmade cheese and appetizing bread from the acclaimed Pain D’Aignon Bakery were offered to accompany the wines. Additionally select New York area artisanal food companies including Ends Meat, Les Trois, Petits Cochons, Li-Lac Chocolates, and The Luscious Little Dessert Company offered samplings and full sized items on hand for guests to purchase and enjoy at home. You can bet we took some of the scrumptious desserts home.